Ghanaian Actor Ekow Smith-Asante says female celebrities enjoy more privileges when it comes to Ghana’s film industry. The actor was reported to have stated in an interview that popular female celebrities in Ghana, who usually travel to places in the name of taking vacations, are sponsored by big men in the country. 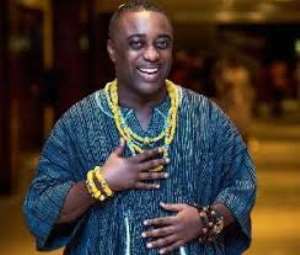 But clarifying these claims on Asempa FM‘s weekend entertainment show, Tête-à-Tête, Mr Smith-Asante said he only meant to say that some of the female celebrities have the advantage to explore when they travel outside. According to him, prostitution is too big a word to use for female actresses as some online portals reported him to have said. “I can go to the Parliament House and it will shock the number of judges, politicians and big men that will shake hands with me and I am there thinking that these big men do not watch movies. It’s amazing how they will mention a movie they’ve watched of me, so if I get this kind of reception how much more our women?” he quizzed. “What I remember saying on MzGee’s show was that yes it opens doors for them; they get trips abroad and they take advantage of it. “I have been stalked on several occasions for numbers of actresses, and when you don’t give it out, people feel you are too hard on them. What they don’t know is, the people they see on screens are not the same people in real life,” he explained. Ekow Smith Asante is a famous Ghanaian actor, television personality, producer, director, production designer, consultant, entrepreneur and philanthropist. He was born on 15th April 1973 in Takoradi, Ghana.